Broadcast-facilities expert J.T. Anderton once said about this station, “This one smokes!” It's hard to dispute the pattern-max field of some 2.7 V/m at 1 km, which for 9 kW days is better than some 50-kW stations. 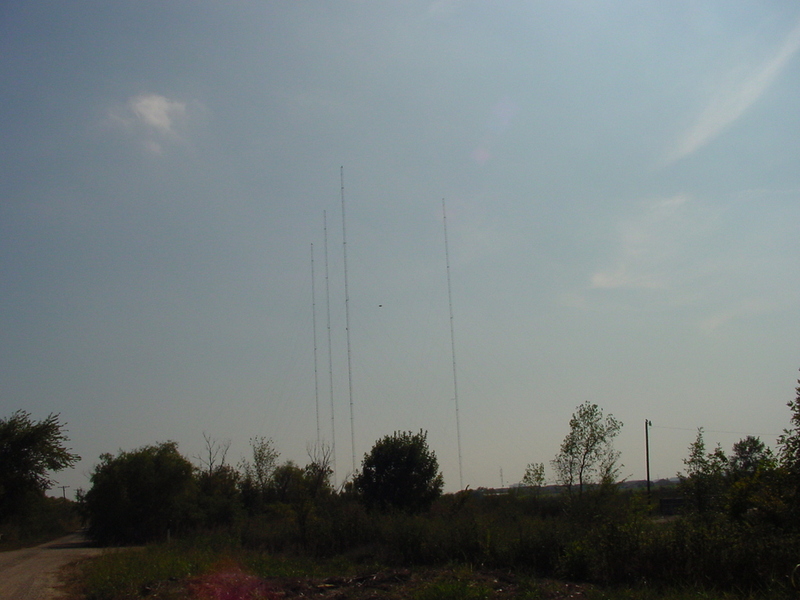 Like the new KAHZ facility, this station uses more towers during the day (all four) than at night (west, center, and south). As for the station itself, it's now Susquehanna's KTCK (1310 Dallas), sports-talk “the Ticket”, but back in the mists of ancient time, it was the city-owned WRR (which began life as a police-dispatch station).